Pharrell Williams arrives at the City of Hope Gala on Thursday, Oct. 11, 2018, at the Barker Hangar in Santa Monica, Calif.
Pharrell Williams has sent a cease and desist letter and threatened to sue President Donald Trump on Monday after the President played his 2013 hit "Happy" at a rally in Indiana this past Saturday. The National FFA Organization rally was held the same day as the "mass murder of 11 human beings at the hands of a deranged "nationalist," the letter stated. The letter evoked the Lanham Act, which enforces a national trademark registration system and has called on Trump to stop playing any of his music. "There was nothing 'happy' about the tragedy inflicted upon our country on Saturday, and no permission was granted for your use of this song for this purpose," the letter, signed by the singer's lawyer Howard E King of King, Holmes, Paterno & Soriano, LLP reads. The recording artist has threatened to sue. On Saturday morning, Robert Bowers, 46, stormed the Tree of Life synagogue, allegedly shooting and murdering 11. CNN reports that Bowers told a SWAT office as he was being medically treated that Jews "were committing genocide to his people." Bowers has a history of being anti-Semitic online, including on conservative social network Gab.com, a site which has since been suspended. The attack was the deadliest in United States history, the Anti-Defamation League said. 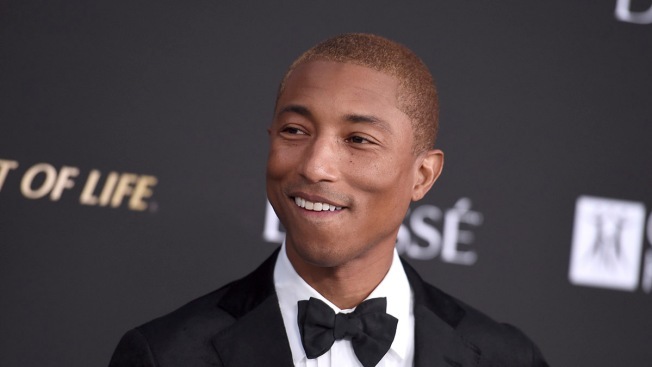 According to the Washington Post, Pharrell is not the only artist calling on the president to halt playing his songs; The Rolling Stones, Queen and Adele are among others. Williams endorsed former Secretary of State Hillary Clinton for president in 2016 and spoke at a campaign rally in North Carolina beside Vermont Senator Bernie Sanders. The letter compels Trump to stop using any of the singer's music if unauthorized.